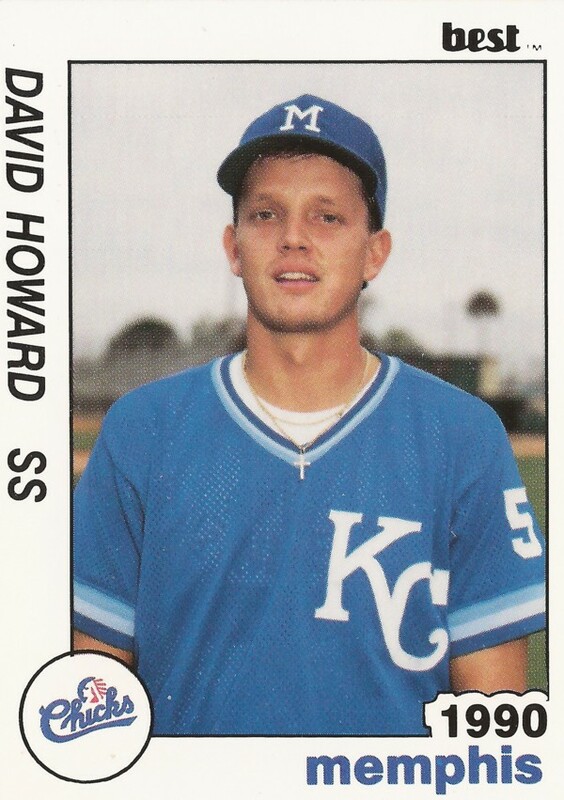 David Howard looked forward to 1994, and a better shot at the Royals big league roster, after a series of injuries and setbacks the previous two seasons, according to The Sarasota Herald-Tribune. Those injuries and setbacks included an injury to his back, a hamstring injury, a September call-up with no room for him in the lineup. There was even a bout with Bell's Palsy that left him sidelined for a month and a half, according to The Herald-Tribune. "As long as I stay healthy," Howard told The Herald-Tribune that March in 1994, "I think I can do a job for this team." Howard was going into his fourth season with time in the majors that year. He went on to play in nine big league seasons, including a 1996 season where Howard was the Royals starting shortstop. Howard's professional career began in 1986, taken by the Royals in the 32nd round, out of Manatee Community College in Florida. Howard started at single-A Fort Myers, making AA Memphis in 1990, then AAA Omaha in 1991. It was also in 1991 that Howard made Kansas City, and he made it for 94 games. With the Royals in 1991, Howard hit .216 over those 94 games, knocking in 17. Howard got that opportunity after Kurt Stillwell got injured. Howard returned to Kansas City for 74 more games in 1992, hitting .224. In early August 1992, Howard hit his second major league home run, an inside-the-parker. "That was about a 180-foot home run," Howard told The Associated Press after the game. "It might have gone over the wall in a Little League field." 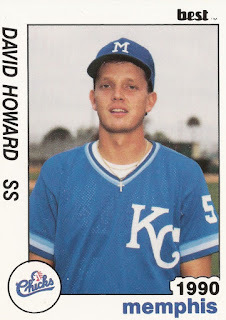 Howard ended up playing with the Royals each season through 1997. His comeback in 1994 consisted of 46 games in Kansas City. He then got into 95 in 1995 and then 143 in 1996. Through that time in 1996, though, Howard hit just .219. Howard finished out his major league career in 1998 and 1999, with two seasons played with the Cardinals. Howard has since gone on to a post-playing career as a coach in the minors. In 2004, he served as hitting coach at high-A Sarasota. In 2012, Howard served as hitting coach at short-season State College. To The Herald-Tribune in May 2004, Howard tried to explain his role as a hitting coach.